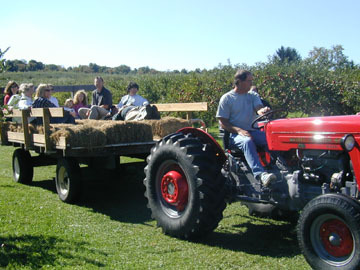 Pick n' Save Orchard Offers weekend Hayrides in September and October Saturdays and Sundays from Noon to 4pm at $3.50 per person . Also, be sure to check our Online Calendar for other Special Events! 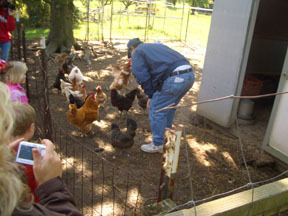 Our well-fed hens are always looking for a handfull of chicken feed. 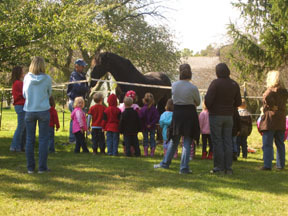 Kids enjoy a friendly visit with Freark and Joel, Lynn's Friesian horses.